Just yesterday, we shared the news that Pokémon GO's Generation 4 update had started to rollout - albeit with some teething problems - but the launch of the next era of the game is now well and truly underway. We've got all the details you need, including which Generation 4 Pokémon you can already find in Pokémon GO, below. Things finally kicked off yesterday, with players around the world managing to get their hands on several Sinnoh Pokémon - creatures which originally appeared in Pokémon Diamond & Pearl as part of the fourth generation of games. Niantic has since confirmed that these Pokémon will make their way to the game in "waves", meaning that the generation's 107 monsters will be rolled out bit by bit. Niantic's statement also confirms that the new set of creatures will be available in all the usual ways - finding them in the wild, hatching eggs, and battling in raids. 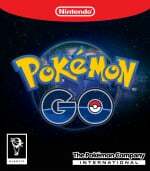 "Pokémon originally discovered in the Sinnoh region will be making their way to Pokémon GO in waves! So, you can look forward to discovering even more Pokémon over the next few weeks appearing in the wild, hatching from Eggs, and battling in raids. Stay tuned to our official channels for updates about new Pokémon, new features, and expansions to existing features like Pokémon storage and more!" The other seven are Carnivine, Chatot, and Pachirisu, which only seem to be spawning in particular areas of the globe; Shinx, Luxio, and Luxray, whereby Shinx seems to be appearing as a Raid Boss, and Luxio can be found by hatching 10km eggs; and Riolu, with reports suggesting that this can also be found in 10km eggs. It's worth noting that Luxio, being a '1st stage' Pokémon (essentially meaning it has evolved once) shouldn't be appearing in eggs going by the game's usual logic - we'd expect this to be changed soon, if it hasn't been fixed already. Have you been eagerly awaiting this next batch of Pokémon? Have you found any of the new creatures yourself already? Let us know with a comment or two down below. I was wondering when you guys would mention this. I've already caught several of these. Ever since the update my GO has been freaking out. Its all black or else it just continuously loads the main overworld saying GPS signal not found. I'm sure there will be an update sooner or later that fixes this but I'm afraid when I was updating it, I jumped over the "Add Sinnoh" update straight to the "bug fixes" update and it's confused. @Kimyonaakuma Funnily I haven't encountered a single Bidoof (yet) in my area, but seven Chimchars and three Piplups within 20 minutes walking distance. I might add though that I'm living in a suburb area of a small town, so not too many spawns. I started catching mine about 4:30pm (GMT) yesterday - a little disappointed with Gen 4 being released in waves considering how small Gen 4 is... especially considering regionals. @marandahir I've not heard of this issue, but one of the best tips I can give you to resolve issues with PoGo is to uninstall, resinstall & clear the caché, oh and make sure your location settings isn't set to "device only". Thanks, I'll try those. I assume the account carries the records of my adventure, not the app itself, so uninstalling should be safe to carry out? @marandahir yes, your data is stored on their servers with your account. Not on your device. Safe to uninstall and reinstall.